ETUDE HOUSE 0.2 Therapy Air Pearl Mask uses Pearl Extract to brighten and even your skin tone, achieving a luminous glow. This sheet mask is soaked in a rich essence containing Pearl Extract. 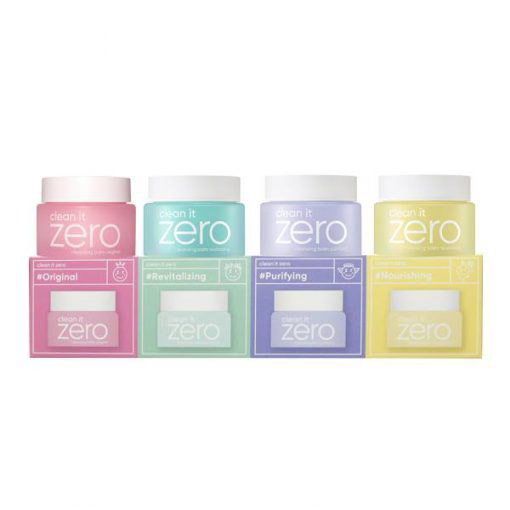 It recharges tired looking skin to unveil a radiant and nourished complexion. Pearl Extract also reduces the signs of ageing by smoothing out fine lines and wrinkles. 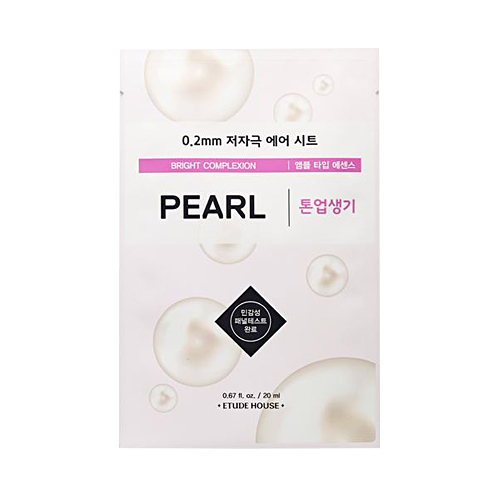 Additionally, Etude House Therapy Air Mask Pearl delivers amino acids and antioxidants; helping to minimise the appearance of pores as well as protect your skin. Pearl Extract 2,500ppm – contains amino acids that reduce the signs of ageing by smoothing out fine wrinkles and pores. It eliminates blemishes and dark patches to unveil brighter looking skin. More ETUDE HOUSE sheet masks are available here. Water,Dipropylene Glycol,MethylPropanediol,Niacinamide,Alcohol,Glycerin,Hydroxyethyl Urea,Biosaccharide Gum-1,Butylene Glycol,1,2-Hexanediol,Pearl Extract (2,500ppm),Arginine, Hydroxyethylcellulose, Allantoin,Acrylates/C10-30 Alkyl Acrylate Crosspolymer,Glycyrrhiza Glabra (Licorice) Root Extract,Coptis Japonica Root Extract,Zingiber Officinale (Ginger) Root Extract,Camellia Sinensis Leaf Extract,Dehydroacetic Acid,Sodium Hyaluronate,Disodium Edta,Dipotassium Glycyrrhizate,Polyglyceryl-10 Laurate,Polyglyceryl-10 Myristate,Caprylic/Capric Triglyceride,Boswellia Serrata Gum,Hydrogenated Lecithin,Beta Glucan,Geranium Maculatum Oil,Citrus Limon (Lemon) Fruit Extract,Rosmarinus Officinalis (Rosemary) Leaf Oil,Citrus Paradisi (Grapefruit) Peel Oil, Lelaceauca Alterifolia (Tea Tree) Leaf Oil, Phytosteryl/Octyldodecyl Lauroyl Glutamate,Ceramide Np.